Once again, it is the weekend – this week sure went fast! As I said last weekend, it’s youth hockey season again, so it is a busy time for us. With our daughter doing hockey 2 or 3 times a week (mostly weekends) and Liz and the baby doing mom and baby yoga on Saturdays. It can get a little crazy around here figuring out meals, particularly on Fridays. We either have to eat at 4pm or 7:30 (at the earliest if we have something precooked). One of these days I am going to put together a quick meals/crock pot cookbook. Maybe I will call it “Friday Night Eats” (what do you think?). Now I just need to come up with recipes of things we will all actually eat. Anyone have any good suggestions for meals? One thing for sure is that I am looking forward to the cold arena on a warm summer day and watching our daughter having fun with her team, possibly scoring a goal again. Last time she was extremely excited after she scored. She skated down the ice so fast and gave me a fist bump through the glass. I was so excited that I hit the stop recording button. The thing I am not looking forward to is getting up at 6am on Saturday again. We are lucky enough that both our kids like to sleep in (it’s nice when you are able to sleep in, not so nice when you have to wake them up). 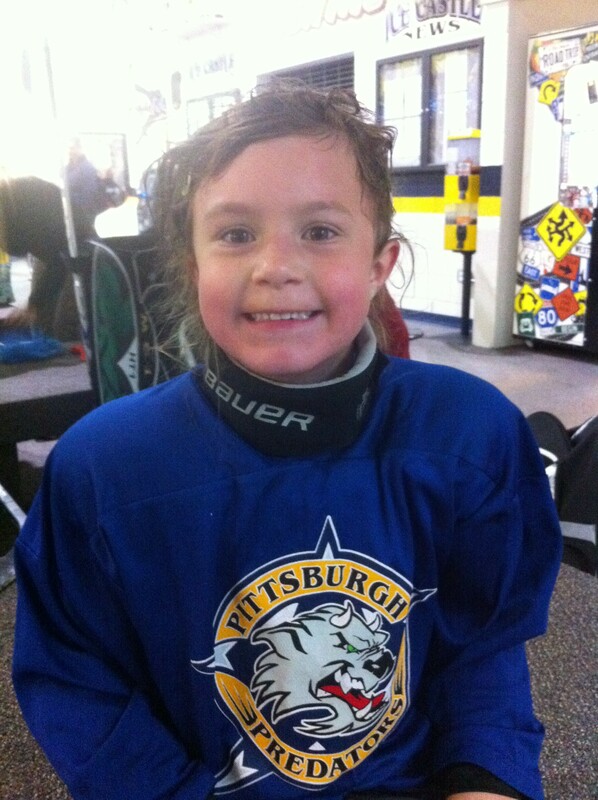 Our daughter, at least, doesn’t mind getting up early for hockey, thankfully. Sometimes she has practice/games at 7 am or early morning away games where we have to travel an hour away, and that’s why we got the best electric bikes from MyProScooter site just for these trips. Don’t forget to watch for a post tomorrow afternoon. I am sure Liz will have more to say about her Mom and Baby Yoga experience. So check back tomorrow for your update on that. Hopefully it goes a little better for her than it did last weekend, since someone was a sleepy baby! Tagged weekend, yoga, Youth Hockey. Bookmark the permalink.